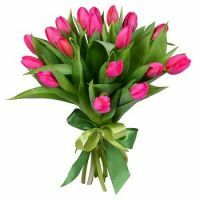 Tulip pink(19 pt. ), Tape(1 pt.). 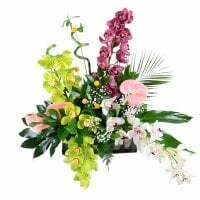 Birthday, Business, Classic bouquets, Colleague, Daughter, For children, For grandmother, For her, For mother, For young lady, Girlfriend, Gratitude, I Miss You, Mother-in-law, Sister, Sorry, Teacher, Wedding flowers, With love. 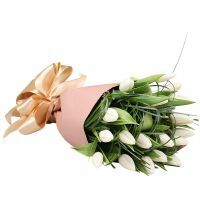 This plain and beautiful bouquet from 19 tulips will express Your senses and will be wonderful present. 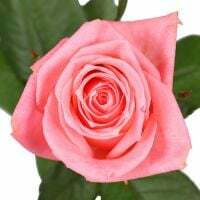 Size: 35 х 30 сm. 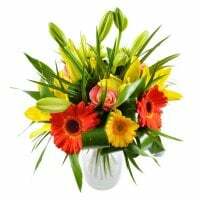 The only problem phone call to get flowers at 2-3pm turned up at 10pm. She waited all day. Manager response: Pleased to hear that. Thank you for your feedback, Andreas! We are going to do our best next time too!